Why? Because…. because there are SO MANY REASONS. 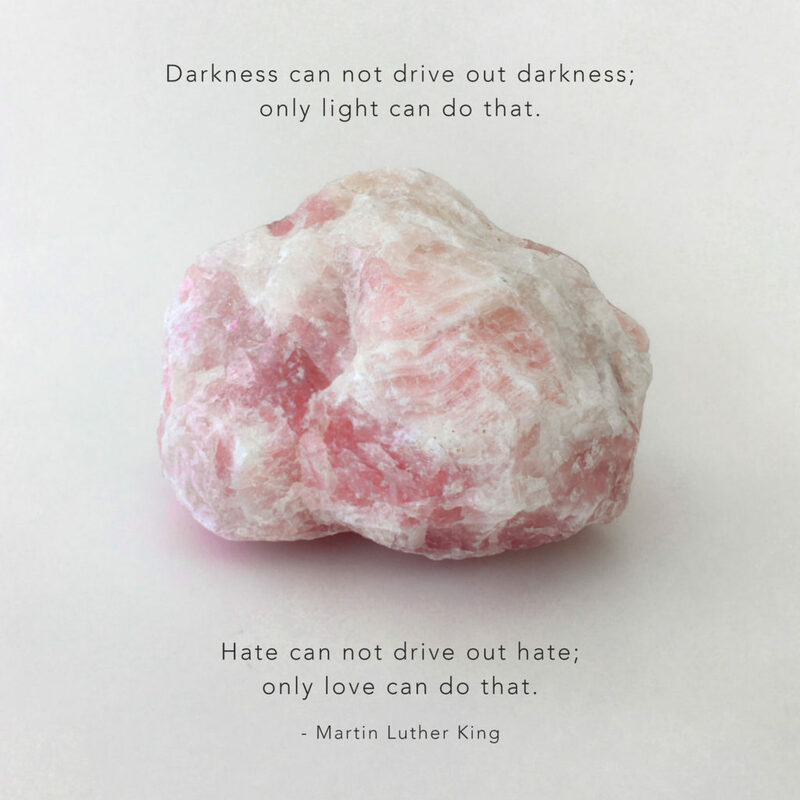 So I’m going to keep talking about this stone and reminding you about it. It’s one of the stones I recommend most. It’s a stone I recommend EVERYONE have for their crystal toolkit. Why? Because it’s the core stone for GROUNDING. The spiritual difference humans compared with the other species of this planet is we were given an extra tool to integrate into our energetic systems. This tool is called the analytic mind. Through this development of the analytic mind we have been able to explore knowledge in a new pioneering way different than the rest of our animal kin. We have since developed many arts of the mind including science, philosophy, art, music, and more. As humans, we have a deep and passionate desire to understand the world around us. We apply our new understandings into theories we practice through technology and other ways we live our life. Fashion is one way we explore concepts and ideas. And fashion has now become instantaneous with new trends being sold everyday. We now can now hop on a plane to travel and explore distant lands within the length of a day. This preoccupation with knowledge and understanding is part of what makes us supremely human. Even though our actions wreak havoc on the planet, it is exactly this that causes our angels and ascended masters look so fondly upon us. Like videos of puppies learning how to climb down stairs; we humans are trying, learning, and often failing miserably at times at integrating our new knowledge to understand life. So we are a top-heavy species because we are so busy dealing with our heads. We forget about the connection we have outside of the analytical, rational, and logical mind so often it’s as if energetically we are like balloons floating off and away to wherever our minds carry us. We worry so much about our minds we put our bodies on the back burner. We heed our physical needs of food, shelter, sleep, and warmth because we have to; and completely neglect what our bodies need spiritually. 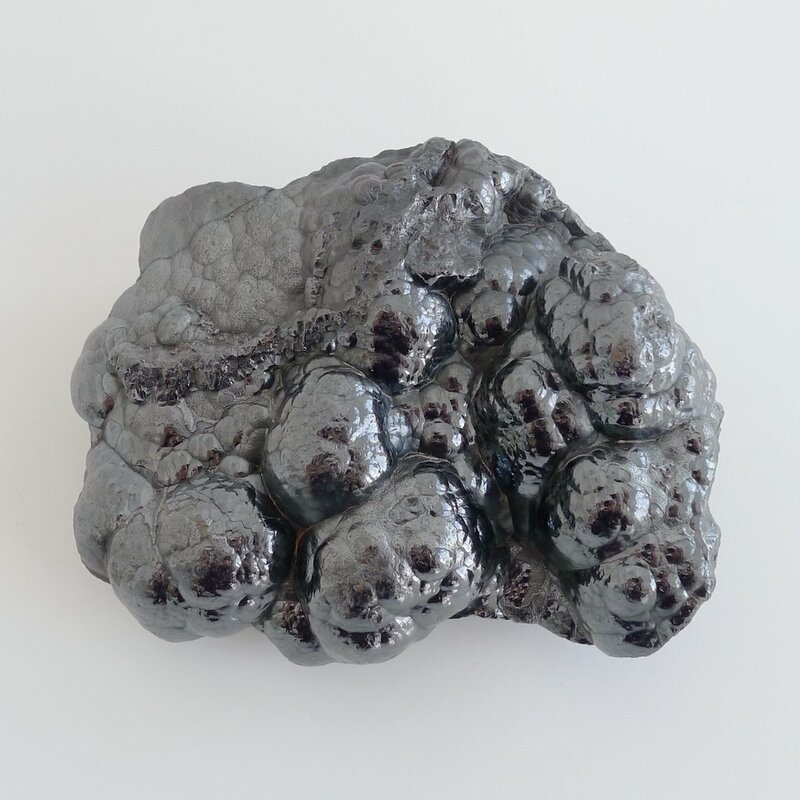 HEMATITE is a stone to reconnect you to back to Earth, to give the balloon a place to be connected to instead of flying up and getting stuck in the trees. It’s is a grounding stone to connect you to the Earth. It keeps one from loosing balance from the rigors of the modern world and all it’s thinking, thinking, thinking. It’s a stone to help one plug back into the energies of Mother Earth… you know that celestial body you stand upon, get all your food, air, and water from. And do you know that Mother Earth is also an energetic power source for your body too? That’s why it’s so important to touch your skin to hers; be in her waters, stand on her grass with bare feet, to sit on her rocks; because you literally get energetically “fed” by her from doing this. 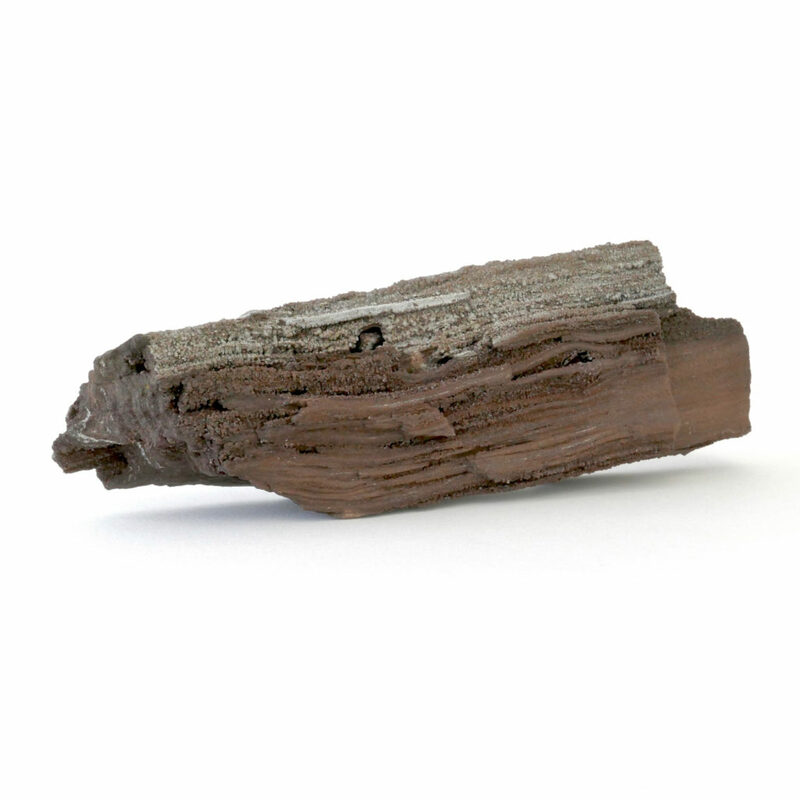 HEMATITE helps you stay connected to this energy of Mother Earth. Hematite’s main component is IRON which is a main component of the hemoglobin that allows oxygen to be transported around your body and makes your blood red. Also, the core of Mother Earth is iron too. So hematite, a root chakra stone, helps you stay energetically connected to the actual root chakra of Mother Earth! In conclusion, grounding is vitally important because it helps balance out and make sense of the mind while keeping us connected to the sustaining energies of Mother Earth. In Chihuahua, Mexico, there is a large mineral mine of lead and silver. In 2000, a couple brothers digging in this mine following a seam of silver accidentally found the largest crystals known in the world. A thousand feet below the surface of the Earth, in a pocket so hot that one must wear suits filled with ice to keep cool, and even then only working for 20 minutes at a time before the severe risk of heatstroke sets in, is a cave filled with giant selenite crystals, some up to 36 feet long and estimated to be a half a million years old. This place is now known as Cave of the Crystals and photos of the cave only allude to just how majestic this place is in person. Selenite is known as the “white light” crystal, as it activates the crown chakra by increasing the intensity of white light spiritual energy that can come in through this chakra. By increasing this energy flowing through this chakra, it allows for more information to be received through claircognizance; a.k.a. intuitive knowing. There are many different forms of selenite, most familiar being the rod shaped selenite from Morocco. 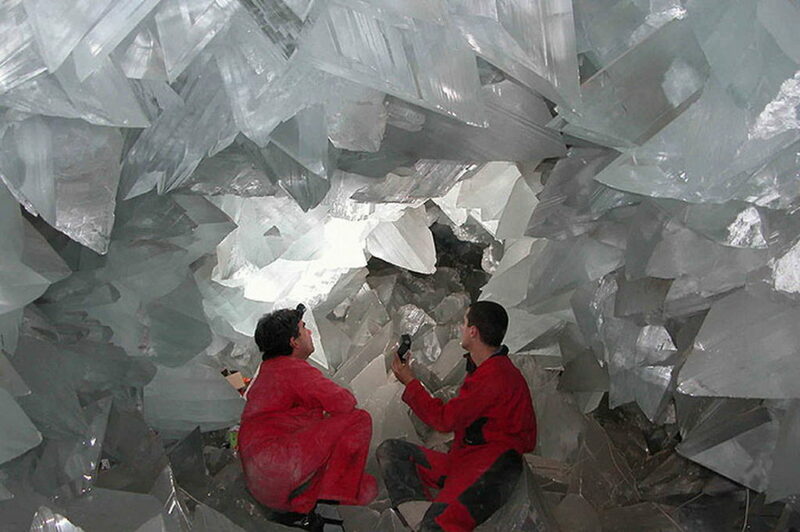 But Place 8 Healing carries selenite from the exact same mine the Cave of Crystals is found. If you look in the photos of the Cave of the Crystals, buy zithromax 250 mg online you’ll see the shorter selenite crystals of the photo with the same crystal shape. 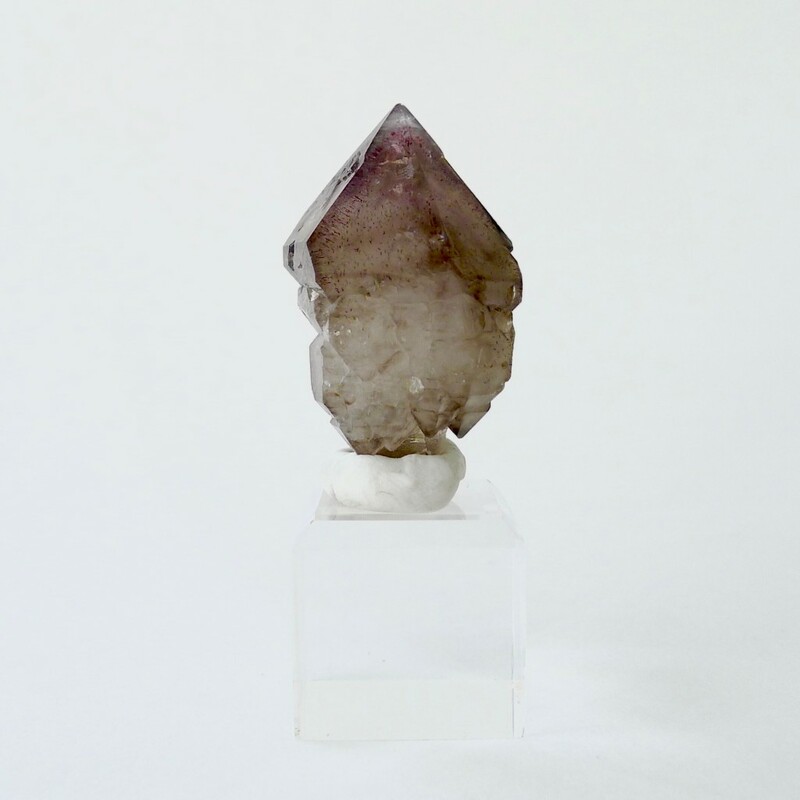 So in addition to the selenite energy of bringing in white light to the crown chakra, this NAICA SELENITE also holds the energy of the place it was found in. 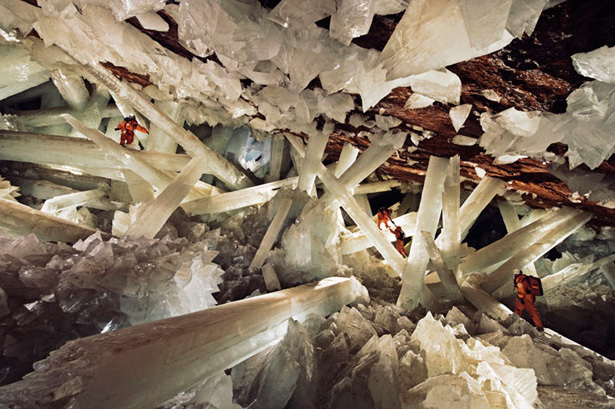 Even as a smaller specimen, the conditions of its growth contains the energy of this natural wonder and the energy of the largest selenite rods in this cavern are present as seeds within its sister crystal! 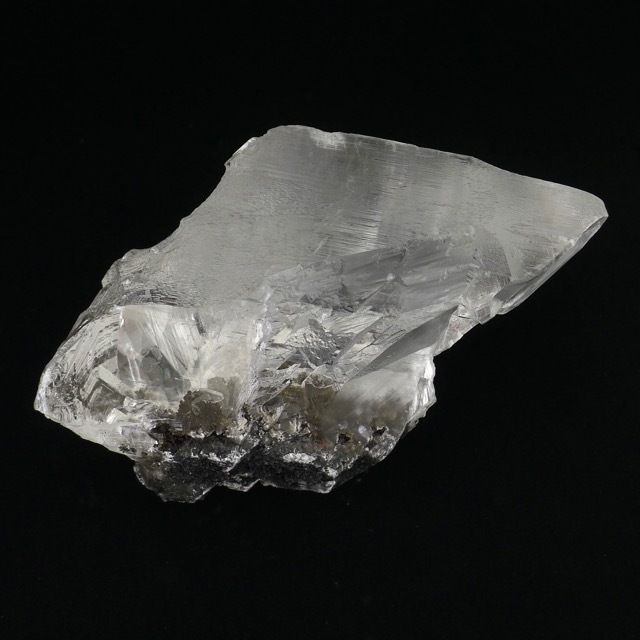 NAICA SELENITE would be well used for bringing in the white light to the crown chakra, but even more interesting would be the information it holds because it was part of the energy of this mine. What I know so far about this form of selenite is that those who are deeply drawn to this specific form of selenite hold a significant role in ascension work on this planet and can use this crystal to help bring down and ground the much needed white light energy here on planet Earth. See the beautiful layers stacked upon one another. This specific form the MANGANOAN CALCITE forms in stacks of elongated pyramids with many of them having terminations at the top point topped with a “cap.” It recalls the energy of stacking growth reaching a pinnacle of achievement, zithromax online overnight which energetically is the goal, to love oneself, to encourage oneself to one’s highest realization and potential. And this is just one of many of these terminations on just one specimen! Because of its popularity as a manifestation stone, citrine has been in high demand. The problem is that the great majority of citrine available is actually artificial. 🙁 With the partial information that citrine is a stone about making money, it has become one of the more sought after manifestation crystals. But natural citrine is quite rare. To fill market demand, mines artificially heat-treat amethyst which melts the iron based compounds within shifting the purple into a ruddy yellow-orange color. The previous post shows what artificial citrine looks like. Other than the color, one of the telltale signs is the short crystals in clusters. This short cluster shape is indicative of the amethyst that is in vast supply from Uruguay. So almost all the citrine you see available for purchase is actually this heat-treated artificial citrine. In comparison, most real citrine is found palm sized or much smaller and are far more subtle in their yellow color. And often real citrine has a natural smokiness to its color caused by natural radiation by Mother Earth’s energies. The energy of heat-treated citrine can be best described as an obnoxious tourist who gets their way because giving them what they want makes them go away (hopefully.) 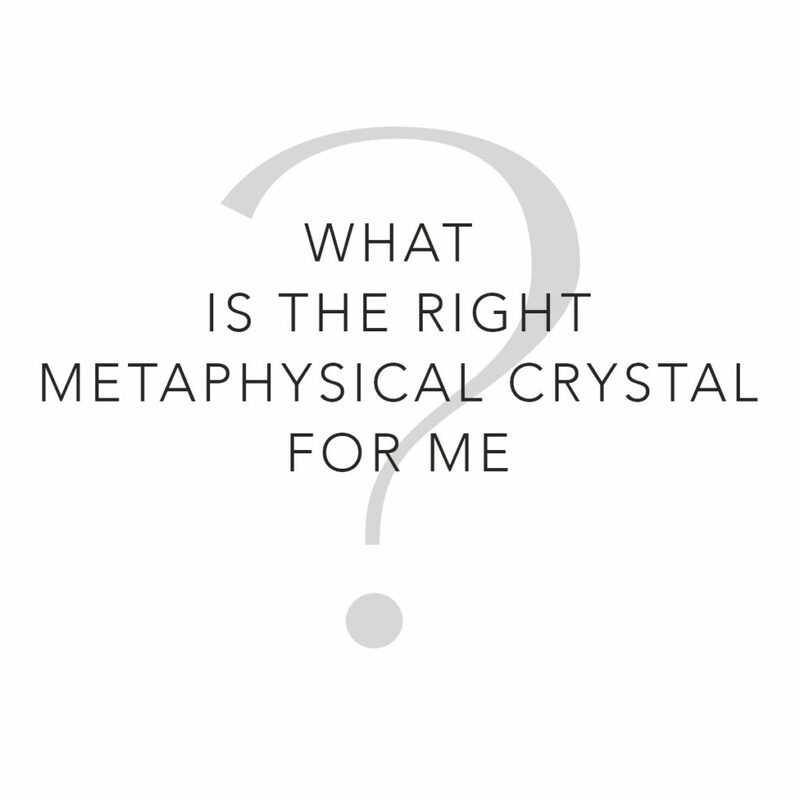 In comparison, natural citrine energies are far superior in manifestation energies because their subtle energies work more deeply and pervasively across all manifestation levels. Imagine natural citrine energy being like a small steady stream of water that pervades through every nook and cranny, as opposed to man-made citrine which energetically feels like a power-hose knocking everything down just to get things wet. So though heat-treated citrine is a lesser crime than other artificial crystal treatments, it has a vast difference in terms of manifestation energy.
! ! ! TOMORROW ! ! ! Place 8 Healing will be open to the public tomorrow between 11 -7 pm. Come shop for fine metaphysical crystals and stones to assist you in bettering your life! So many more crystals are in the shop than get posted on Instagram! In the pink building on the corner of Los Angeles and 8th street.